Home Events Join the Ultimate Star Wars Experience, You Must. I don’t care how many midi-chlorians you have, you must’ve felt something in the Force because Star Wars the Last Jedi is here! 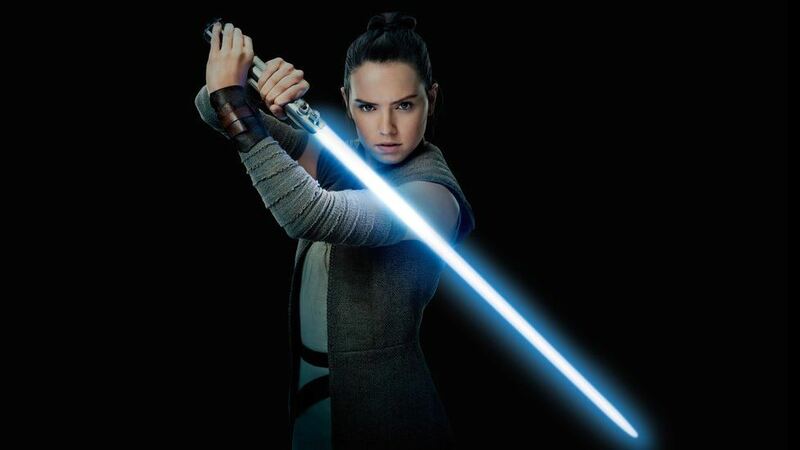 To further celebrate episode 8 (or the 2nd installment in the new trilogy), Globe Telecom is partnering with Disney to launch the Lightsaber Movement Contest where if everyone helps out, we could send someone to watch Star Wars the Last Jedi at Rancho Obi-Wan in San Francisco. The prizes unlock based on community participation. Basically, the more entries they get, the more prizes we can win. Check out all the Star Wars paraphernalia’s we can get! So, how does one join and unite in this movement? 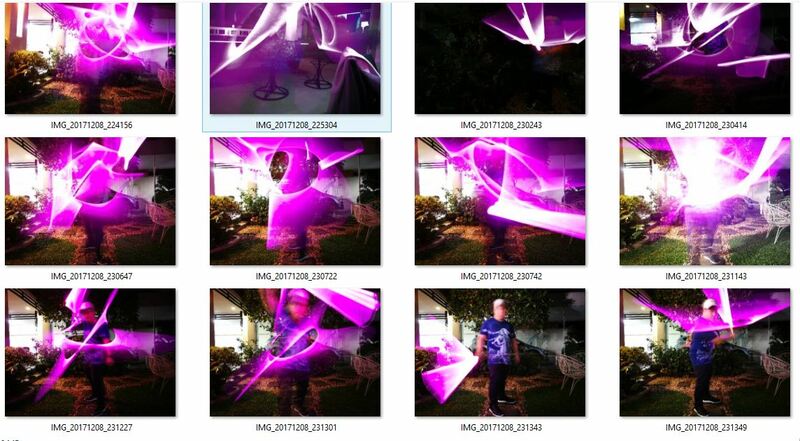 Take a photo or a video of yourself doing a lightsaber pose or move. You may use anything that resembles a lightsaber as your weapon. Post it on Instagram or Twitter using the hashtags #ForceWithin and tag @enjoyGLOBE. In the caption, tag someone who you consider a hero and tell us how they bring out the Force within you. Be a hero for our heroes’ children, @tag! 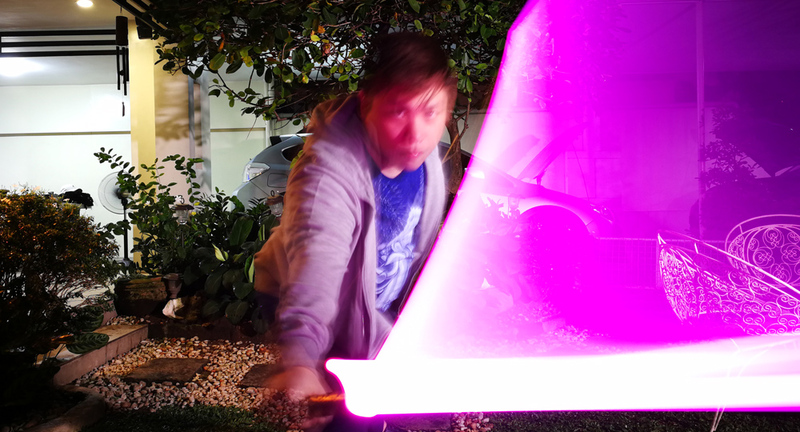 I challenge you to create a lightsaber move video and challenge others to do the same with the hashtag #ForceWithin! You can also donate to the HERO Foundation at http://glbe.co/forcewithin. May the Force be with you! Make sure your Twitter or Instagram account is set to public. Multiple entries can be submitted as long as each entry is unique. You can submit your entries from December 3 to December 21, 2017. Luckily for us, we just happen to have a lightsaber lying around. 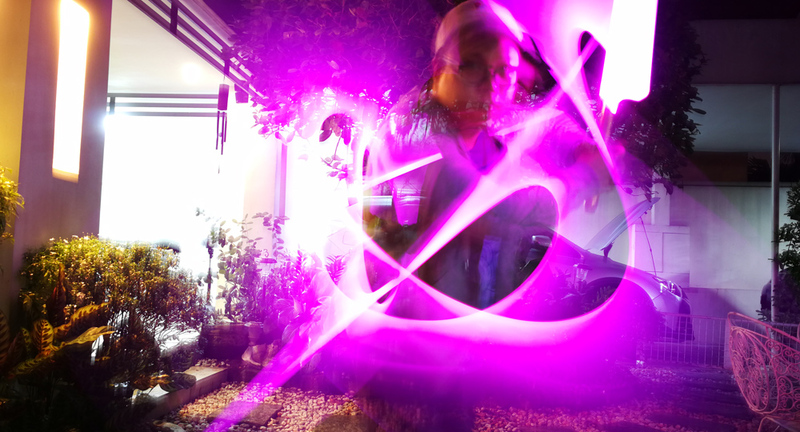 67 attempts of fancy light tracking but no where near what I wanted. 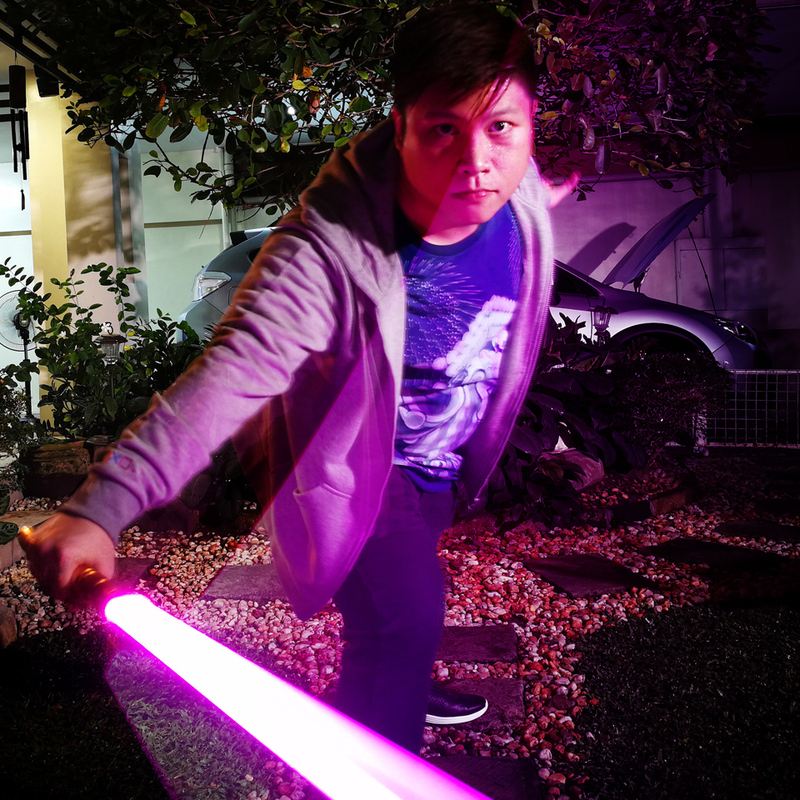 To track the light, you need to set your camera (or in our case, our camera phone) to manual mode and slow the shutter speed enough so that when the lightsaber moves the photo will produce a “ghosting” or light-tracking effect. The trick is finding the right balance so you won’t end up with just a magic light show like you’re in a club dancing with crazy-long glow sticks. In the end, I settled for less movements, trying to keep my body as steady as possible and setting my shutter for just 1-2 seconds opening (instead of 4-5 above). After multiple attempts, one shot finally emerged. And voila, this is the photo we’ve been looking for. You don’t need to have a lightsaber, as per Globe rules, but having a close to working replica helps, in our opinion. 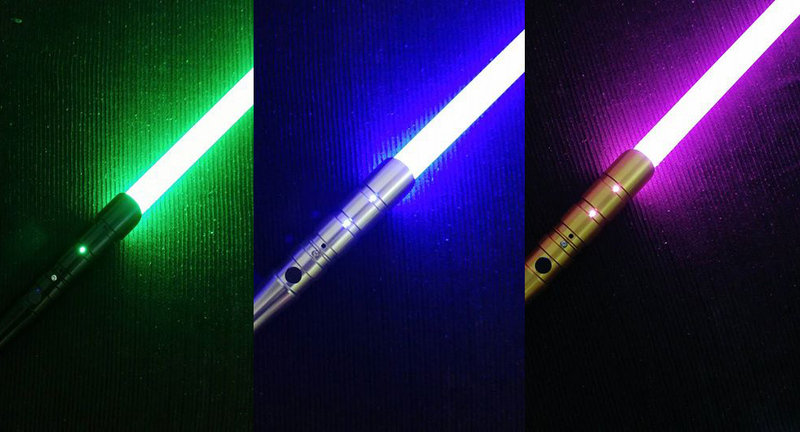 If you want to feel the force more this Star Wars season, we suggest checking out Saber Source’s wares. The entry-level piece (which is also what we used in the shoot), the Kyojin, is priced at Php 4,500 each. The kit includes, the polycarbonate saber, USB Charging Cable, Allen Key with retention screws, a handy saber bag and comes in multiple colors of blade and hilt. 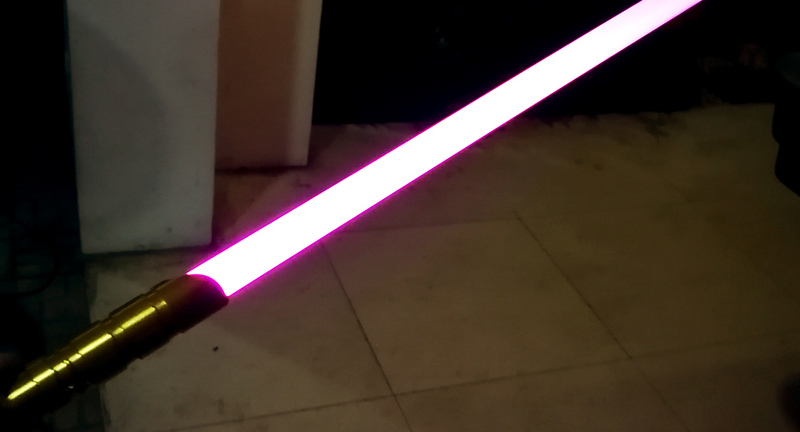 In our case we opted for the Mace-Windu like purple, cause reasons. Here’s a more in-depth specs for you saber lovers out there. 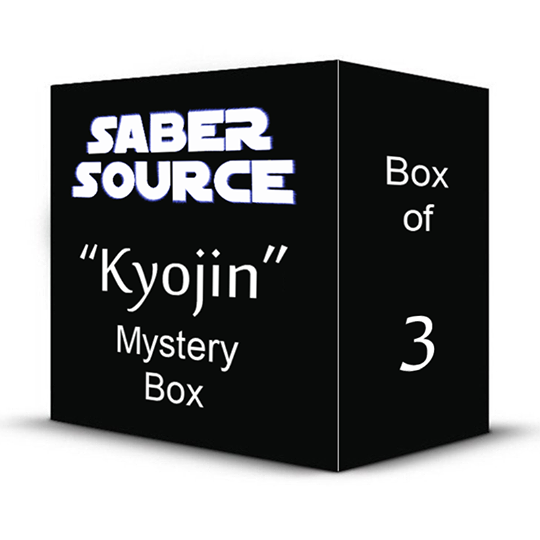 While it’s quite a pricey “toy”, the Kyojin Duel-Ready sabers is really meant for hobbyist who may want to get into the whole Fight Saber community – a group of people who meet regularly to study, you guessed it, lightsaber battles. Given that you’ll be wacking people and other sabers, the Kyojin Duel-Ready saber is a pretty practical alternative to the Php 10,000-12,000 officially licensed Hasbro ones. The blade is made of sturdy polycarbonate so it can withstand the beating. If you’re attempting to get into the Fight Saber community, and want to get your feet wet without going all in, then these are the sabers you’re looking for. The Kyojin currently is on sale at their FB Page where when you buy a blind-box set of 3 (random colors), each saber drops down to Php 3,600 each. That’s an insane price, if you ask me. To further promote Star Wars: The Last Jedi, Globe crafted a heart-warming/ heart-wrenching video that centers on unleashing the #ForceWithin to find the hero within you. Suffice to say they also partnered with the Hero Foundation. To check out the sabers from Saber Source click HERE. Previous article‘Star Wars: The Last Jedi’ First Impressions – The Force levels here are over 9000! Next articleReady, player one! Nendoroid D.Va suits up for pre-orders!